Confusing, yes? Let me explain. I’m on my third dishwasher in five years. LG Washer the I was a lemon and died within weeks of delivery. LG sent someone out to try and fix it; it didn’t work even though they tried to tell us that it did. I put on some stompy heeled boots and went to Home Depot to yell at them; they wisely agreed to replace it. Then they delivered LG Washer the II. And left it in the middle of the living room, because someone decided not to specify that it needed to be INSTALLED. So I put my yelling boots back on and refused to leave Home Depot until someone came with me to install it. And they did. And LG Washer the II limped along for almost five years, coughing, wheezing, and intermittently leaking large quantities of water from various washerly orifices. I became intimately acquainted with said orifices and turned the dishwasher over more than once to tighten hot water lines. I also took apart the entire sprayer/filter piece more than once to fix loose gaskets, remove clogs, and all sorts of lovely things. LG Washer the II announced its demise the same week as the major work in my kitchen came to a close. I heard some water running, which I thought was the water softener. Turns out it was the dishwasher, draining buckets of filth into the basement. Great! Nobody works on LG dishwashers, which is part of why I have a scar on my leg from the last time I had to turn it upside down. We finally got someone to come have a look. The news was bad. The worst part? The dead pump might have been caused by too much soap. Apparently, those little soap pellets that they tell you are great for high efficiency dishwashers are, in fact, not good at all. 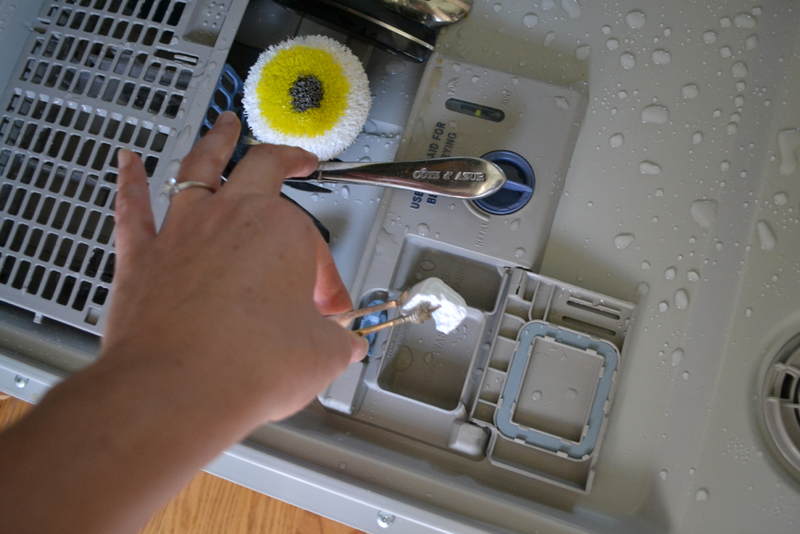 With the high temperature and stainless steel interior of dishwashers like LG the II, you only need, I was told, about 1/3 that much soap–the compressed equivalent of about 1T of loose soap. So, I got a new dishwasher: Whirlpool, the First of His Name. 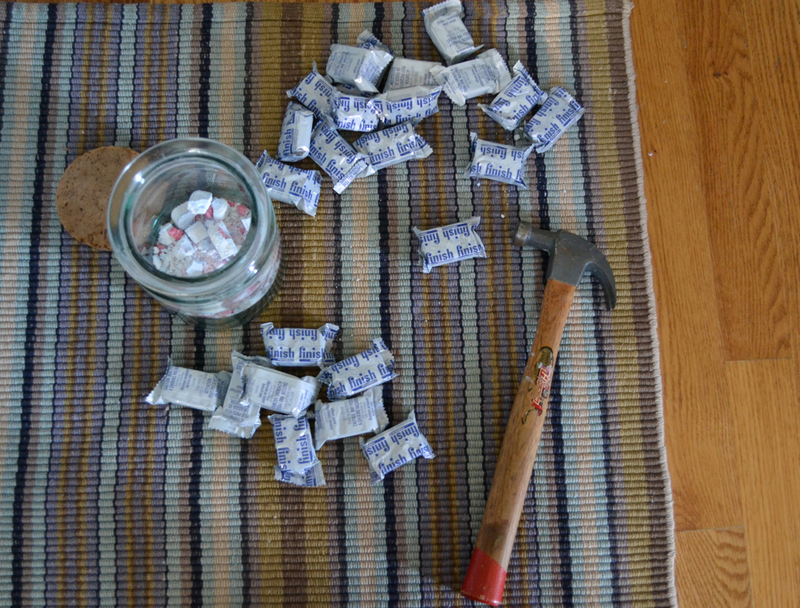 And then I got out the hammer and started making soap pieces, because I buy everything at Costco and have about a gross of these wicked little things remaining. Like any good Victorianist, I had to find the correct implement for this situation. 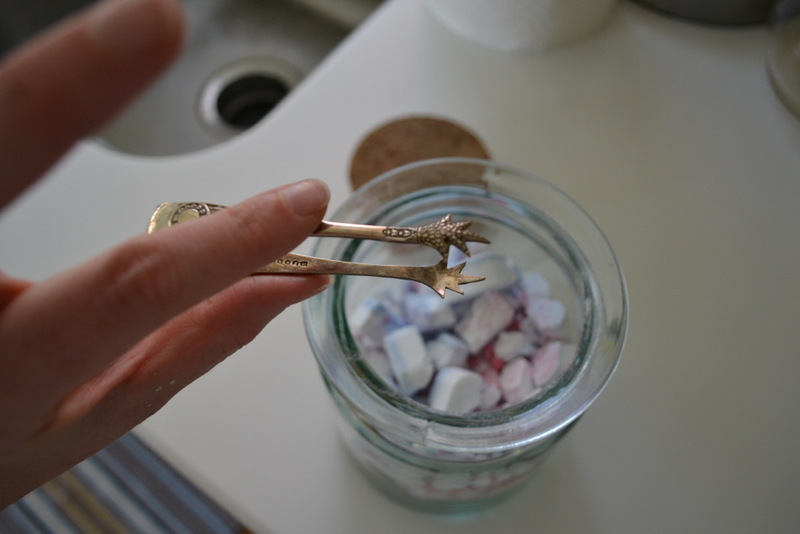 Since the Victorians didn’t think to make dishwasher soap tongs, I had to make do with silver-plate sugar tongs from an antiques market in London. I have a new dissertation deadline: finish before the end of Whirlpool the First. More items for your curiosity cabinet? those tongs are amazing. i also feel like the victorians would approve of them being used for soap. I just notice The Ring!!! Aunt Eleanor lives!!! !